The IRS offers two ways of calculating the cost of using your vehicle in your business: 1. The Actual Expenses method or 2. Standard Mileage method. Each method has its advantages and disadvantages, and they often produce vastly different results. Each year, you’ll want to calculate your expenses both ways and then choose the method that yields the larger deduction and greater tax benefit to you. If you drive for a company such as Uber, the business use of your car is probably your largest business expense. Taking this tax deduction is one of the best ways to reduce your taxable income and your tax burden. 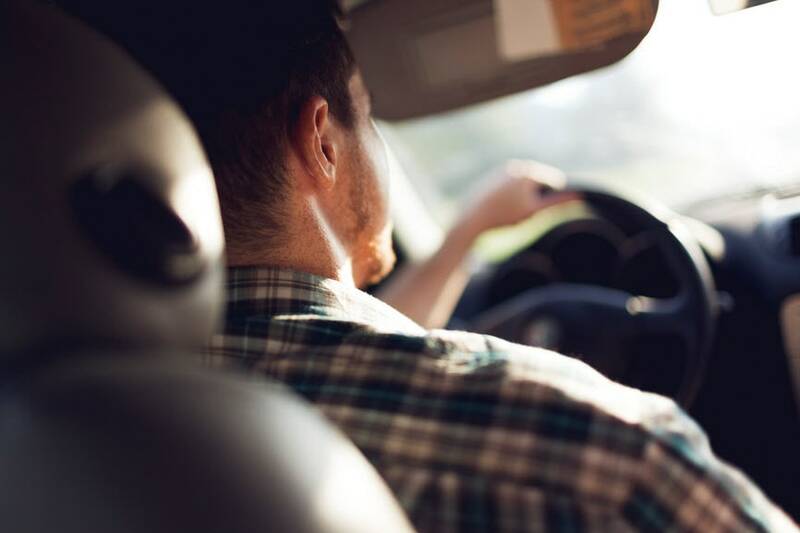 This is doubly important because you have to pay two separate taxes on your ridesharing income—once for your income tax and once for your self-employment tax (the amount you contribute as a self-employed individual to Social Security and Medicare). Both taxes are based on the net profit of your business, which can be reduced by taking a deduction for the use of your car for your business. Each method has its advantages and disadvantages, and they often produce vastly different results. Actual Expenses might produce a larger tax deduction one year, and the Standard Mileage might produce a larger deduction the next. If you want to use the standard mileage rate method, you must do so in the first year you use your car for business. In later years you can choose to switch back and forth between the methods from year to year without penalty. Each year, you’ll want to calculate your expenses both ways and then choose the method that yields the larger deduction and greater tax benefit to you. Below you’ll find an easy-to-follow road map to choosing the best method for you, this year. Many of the items listed on the chart apply both to your business and to your personal use. For example, you might use the same phone and wireless plan for both your business and your personal life. For tax purposes, you need to calculate the percentage of each expense that applies to your business and deduct only that portion from your business income. The IRS can disallow any expenses that are not supported by receipts, mileage logs, and other documentation. For this reason, many people use a single bank account or credit card for all their business transactions. That way they can refer to their monthly statements or online records to accurately track their business expenses. As the name suggests, the Actual Expenses method requires you to add up all the money actually spent in the operation of your vehicle. You then multiply this figure by the percentage of the vehicle’s business use. For example, if half the miles you drive are for business and half are for personal use, you will multiply your total vehicle expenses by 50% to arrive at the business portion (e.g. $9,500 total expenses x .50 business use = $4,750 business expenses). As with other tax deductions, you must determine the percentage of your mileage that applies to your business. If half the miles you drive are for business and half are for personal use, you will multiply your total mileage by 50% to arrive at the business portion (e.g. 10,000 miles x .50 business use = 5,000 business miles). Once you have determined your business mileage for the year, simply multiply that figure by the Standard Mileage rate. 5,000 business miles x $0.545 standard rate = $2,725 Standard Mileage deduction. Uber makes it easy to track the miles you drove with passengers in your car. Your year-end Uber Tax Summary includes the total of your “On-Trip” mileage. This is a good starting point for calculating your total business miles. You can add to this figure the business miles you drove without passengers, picking them up or to a central location after dropping them off. Remember to log only the miles driven for your business. No matter how loudly that slice of pizza called your name, you cannot deduct the miles you drove to pick it up. If you don’t want to keep a log by hand, mileage and expense-tracking apps can help you keep an accurate tally of this all-important deduction. When you use the Standard Mileage deduction, you can’t deduct individual expenses for your car. For example, if your transmission broke down and had to be replaced, you might be better off using the Actual Expense method to take advantage of this large expense. The only way to know for sure is to keep good records and to calculate your tax savings both ways. These expenses total $9,500. Since the driver used the car for business purposes 50% of the time, the Actual Expenses deduction is $4,750 ($9,500 x .50 = $4,750). Using these same figures to calculate the Standard Mileage deduction, the driver multiplies the business mileage (5,000 miles) by the standard mileage rate (54.5 cents per mile in 2018), for a Standard Mileage deduction of $2,725. 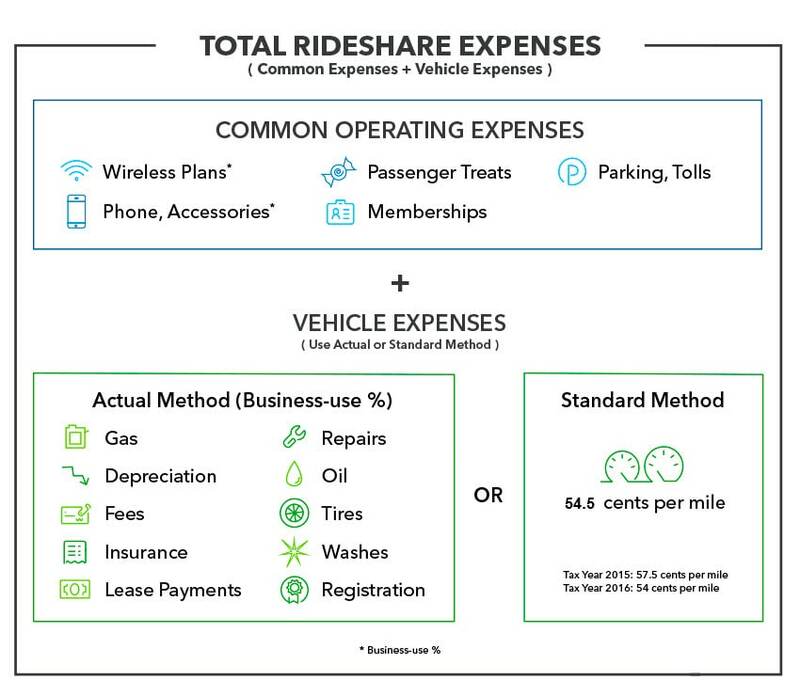 In this example, the Uber driver-partner is able to deduct $2,025 more by using the Actual Expenses method than by using the Standard Mileage method. These expenses total $11,300. Since the Uber driver-partner used the vehicle for business 75% of the time, the Actual Expenses deduction is $8,475 ($11,300 x .75 = $8,475). Using the Standard Method with these same numbers, the driver would multiply the number of miles driven for business (30,000) by the standard mileage rate (54.5 cents per mile in 2018), which comes out to $16,350. In this example, the Uber driver-partner is able to deduct $7,875 more by using the Standard Mileage method than by using the Actual Expenses method. As these examples show, the method you use to calculate the business use of your car can have a big impact on your total business expenses, your net income, and your tax burden. Keep complete records so you can calculate your deduction using both methods, and then choose the one that saves the most money for you. Remember, with TurboTax, we’ll ask you simple questions and fill out all the right forms for you to maximize your tax deductions.